Sure, our chef is always coming up with new, exciting recipes but we had a feeling that our own employees had some pretty creative uses for our product as well so we decided to have a contest at our corporate office to see what they would cook up. This inspired a flurry of activity in our test kitchen where dishes were made, lots of tasting was done and winners were crowned. The third place recipe was made by long time employee GayeLynn L. Over the past 36 years she’s worked her way up from the production line to being a member of the finance department, tracking all the potatoes that come into our facility to be made into hash browns, casseroles and mashed potatoes. That’s a lot of potatoes so you know this is an important job! 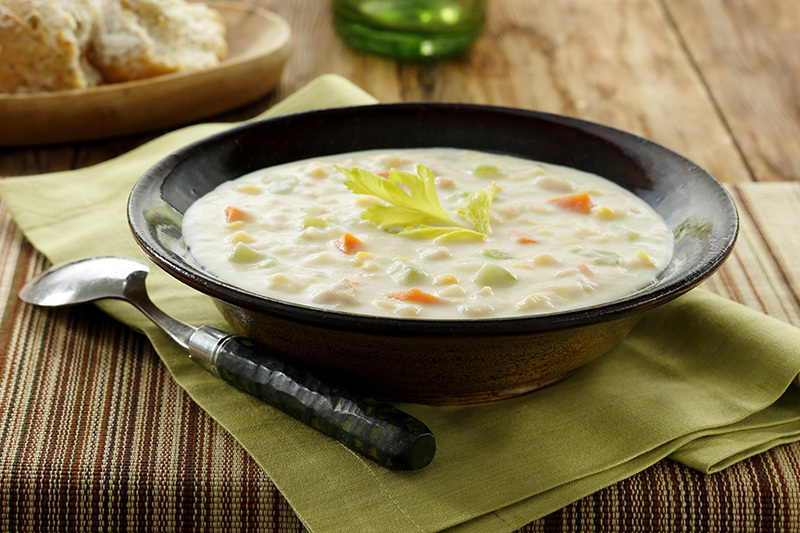 GayeLynn turned her craving for clam chowder into this winner that includes corn and Idahoan Baby Reds®. Make sure you have some crusty bread handy as not only is this soup made for dipping, we’re pretty sure you’re going to want it to wipe the bowl clean. See for yourself – get the recipe here.